I am delighted to speak briefly today about my new book, which is a narrative itself that focuses on the history of journalism in America. It’s called Covering America, and I conceived of it as a narrative from the get-go. That is, the book is a 300-year history of a major institution with a through-story that follows a thread of innovation. Before writing this book, I had spent 20+ years in the news business, at the AP and at the Washington Post — most of that time banging out bulletins or day stories or updates. So I was ready to try a different mode. Funny thing: this book took so long to write that there is something of a narrative about the writing process. When I started working on it eight years ago, the news media were still fat and happy and arrogant. And I thought my narrative arc would end in a critical denunciation of Big Media. Then, the bottom fell out. For years, Romenesko brought us nothing but news of layoffs and bankruptcies. So, I needed a new ending. For a while, it looked like I might be writing journalism’s obituary. But then, things started to shift again, in really interesting new ways – all kinds of experiments, new models, new heroes– well, let me just say that it’s covered in the last chapter. So what did I learn about narrative? I learned that narrative in American journalism is not a johnny-come-lately, and not a fad. In fact, narrative was right there at the founding. 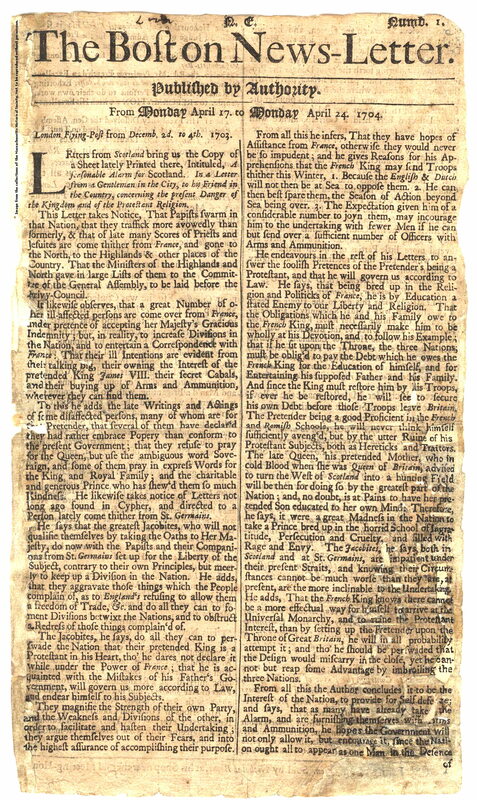 Here’s an image from the Boston News-Letter of 1704 – the first edition of the first successful newspaper in the New World. It contains – a narrative! It is a narrative about a certain Captain Toungrello, a pirate who was marauding off Curacao in the Caribbean, then made his way as far north as Rhode Island. It’s a great story, told in my book. And narrative remained a persistent feature. For many, many decades, American newspapers were more likely to carry what we might call an account than a report. By account I mean – usually – a first-person narrative: I went here and saw this. It’s only well into the 19th century that we start to see the emergence of the report (or the reported story) – the dispassionate, impersonal organized by importance rather than chronology – usually devoid of personality, wit, attitude and drama. But all along, narrative persisted. In newspapers, magazines, and books. You can see it in Frederick Douglass’ great narrative and in other slave narratives. Here is his opening, published in 1845. I was born in Tuckahoe, near Hillsborough, and about twelve miles from Easton, in Talbot county, Maryland. I have no accurate knowledge of my age, never having seen any authentic record containing it. By far the larger part of the slaves know as little of their ages as horses know of theirs, and it is the wish of most masters within my knowledge to keep their slaves thus ignorant. I do not remember to have ever met a slave who could tell of his birthday. They seldom come nearer to it than planting-time, harvest- time, cherry-time, spring-time, or fall-time. . .
My mother was named Harriet Bailey. She was the daughter of Isaac and Betsey Bailey, both colored, and quite dark. My mother was of a darker complexion than either my grandmother or grandfather. . . . I never saw my mother, to know her as such, more than four or five times in my life; and each of these times was very short in duration, and at night. She was hired by a Mr. Stewart, who lived about twelve miles from my home. 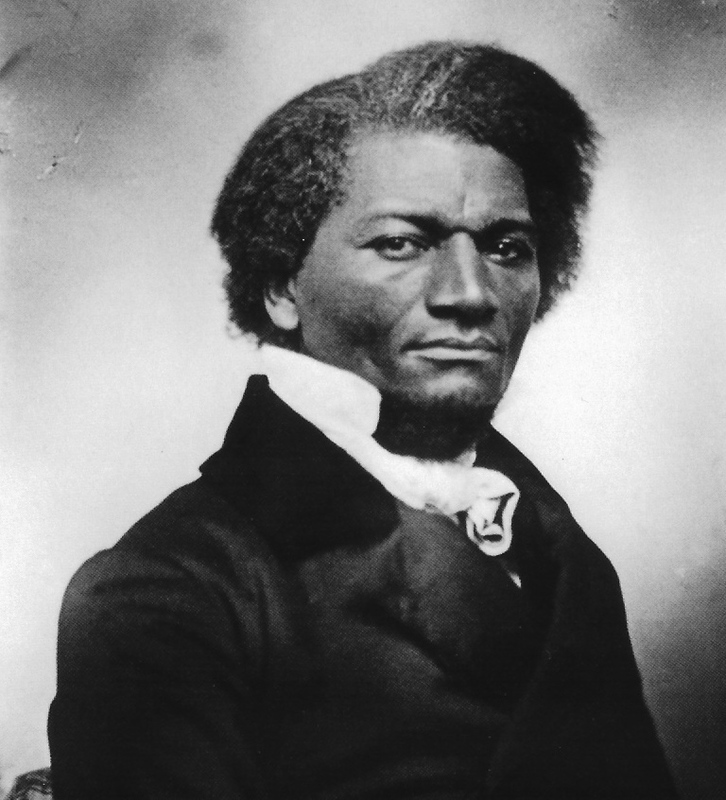 Right there, you can see Douglass grabbing narrative as his tool to tell the world about himself: I was born. . . Then, we can see him link his own story to his people’s story. All in the first three sentences. 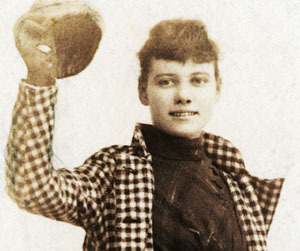 You can see narrative again in Nellie Bly’s great work in the 1880s – her “Ten Days in a Madhouse” One of the first undercover exposes. There, she is setting the hook. Most readers – most people in America – would have known how this story turns out. The fact that she made the trip was covered obsessively by her own paper, Pulitzer’s New York World. So, what’s left? The narrative that focuses on how. Yes, we know the ending, but this narrative is going to give us something else. 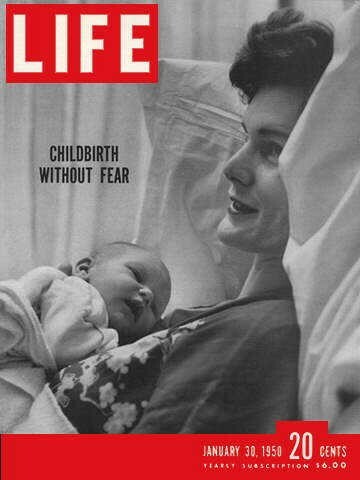 LIFE (founded, 1936), which pioneered the photo essay. 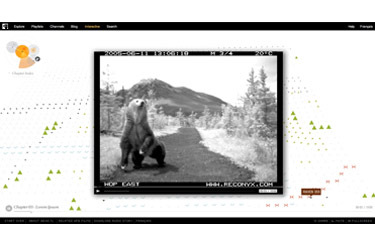 Many of those photo essays were often conceived and executed in a narrative mode. We see narrative again in the FSA photos, telling a narrative about desolation and dislocation. 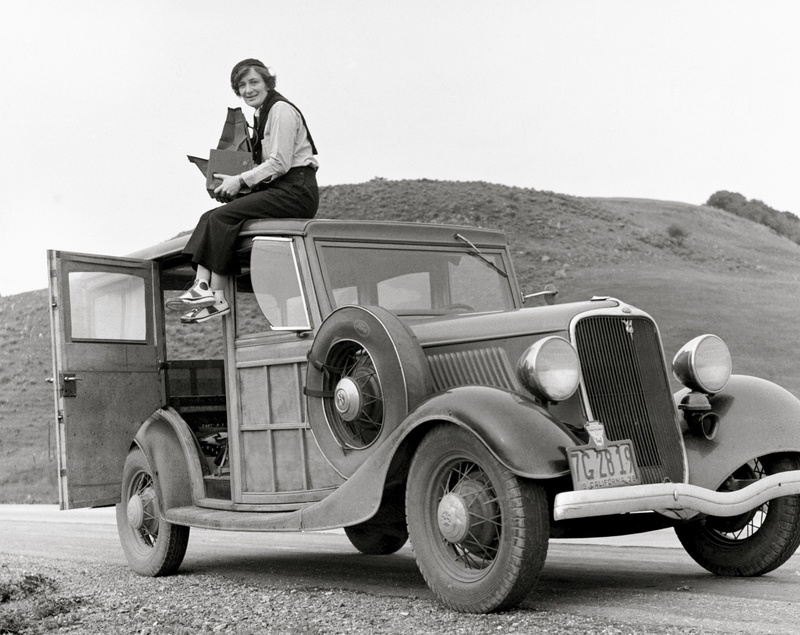 Here’s a rare photo: it shows the photojournalist Dorothea Lange – looking jaunty in her sneakers atop her old woody. 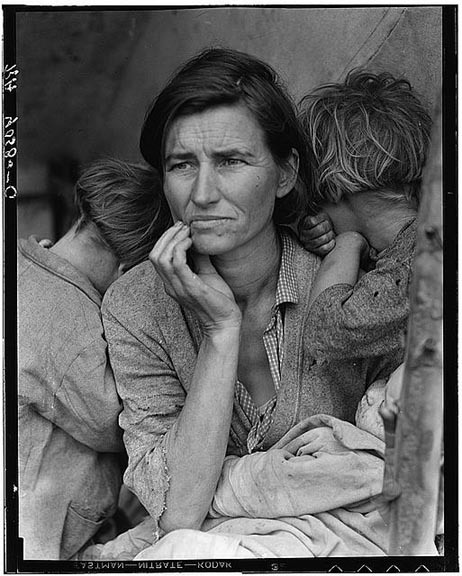 And here’s her classic photo titled Migrant Mother. Although it’s a still image, it certainly tells a story. A tale of dislocation, of loss, of movement. –Marguerite Higgins on the liberation of the Dachau concentration camp in April 1945. –William Laurence on the dropping of the A-bomb on Nagasaki. 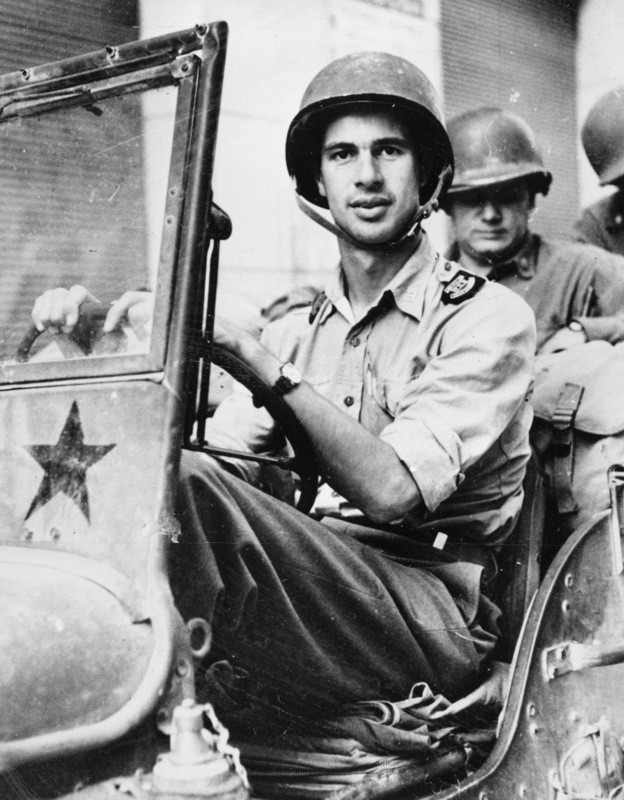 And of course, the master: John Hersey. At exactly fifteen minutes past eight in the morning, on August 6, 1945, Japanese time, at the moment when the atomic bomb flashed above Hiroshima, Miss Toshiki Sasaki, a clerk in the personnel department of the East Asia Tin Works, had just sat down and her place in the plant office and was turning her head to speak to the girl at the next desk. . . I would argue that Hersey is the key figure here, the one who connects this great tradition to the New Journalists, who in turn have a lot to do with the current resurgence of narrative. So, today, as we talk about narrative, as we create our own new narratives, as we think about the future of narrative, I would say we are seeing a rebirth. We are seeing the explosion of narrative as a storytelling mode across all platforms. I would argue that we are even beginning to see the classic news report – the inverted pyramid, the “news from nowhere” — with its flattening of affect and its shattering of time – we are starting to see that as a historical artifact. It is not inevitable, it is not superior, it is not even adequate for so many purposes. So, here’s my bias: I want all of us to know this history, to claim this legacy. Many of us here today are exploring the outer limits of narrative – across different platforms, lengths, and topics. And even as we do that work, we should know that we are heirs to a great tradition. That is the legacy that I tried to find, open up, and share in my book, “Covering America.” As I wrote it, I felt so proud of that long line of journalists who had done such wonderful work and so humble in their presence. 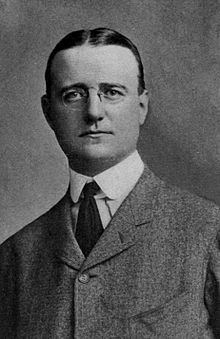 One of the greatest Irish-Americans in the history of U.S. journalism is one who is not often remembered today: S.S. McClure. After making money in the syndication business, McClure sent on to found one of the most important magazines in American history, the eponymous McClure’s Magazine. More than any other magazine, his was at the heart of the Muckraking movement at the start of the 20th Century. 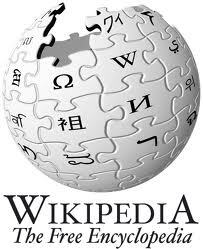 He hired or published Ida Tarbell, Lincoln Steffens, Ray Stannard Baker, and other pioneers of investigative journalism. 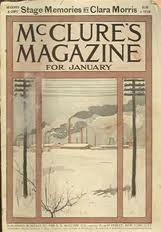 The January 1903 issue of McClure’s Magazine was one of the greatest single issues ever published. Here is an excerpt from my new book (on sale now! 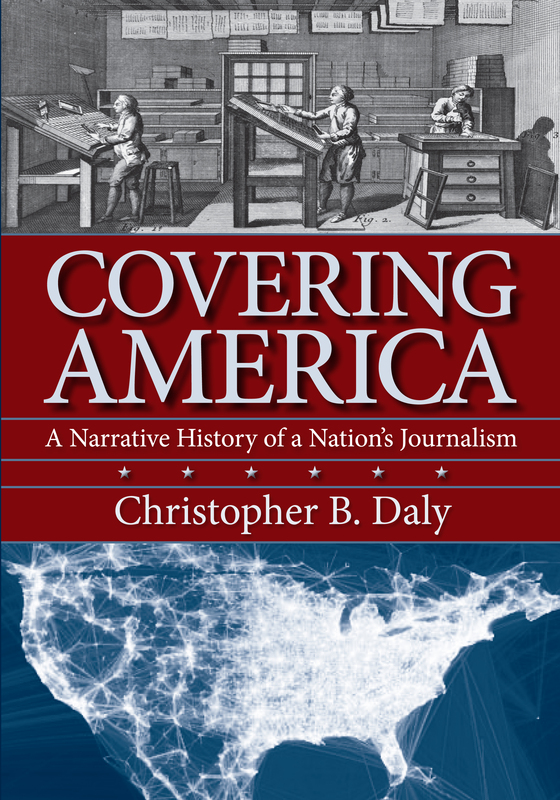 ), called Covering America, which is a narrative history of 300+ years in journalism. As a coherent national movement, muckraking can be traced to the year 1902. The setting was a monthly magazine called McClure’s, which had been founded by S. S. McClure, an Irish-born journalist, in 1893 in New York City. Sam McClure was a pioneer in a new kind of publication then sweeping the country. Although magazines had been published in America for more than a century, they generally steered clear of journalism and focused instead on literature, fiction, ladies’ fashion, or housekeeping hints. Traditional magazines like the Atlantic Monthly, Scribner’s, or Harper’s were also typically quite expensive in price and conservative in outlook. But starting in the 1880s, a new kind of magazine appeared. Thanks to dramatic drops in the cost of paper, magazines could now be priced to reach middle- and working-class audiences. And thanks to the halftone engraving process, they could print extensive displays of photographs. It is also important to note that, unlike even the biggest daily newspapers, which were rarely distributed far beyond their home base, these magazines circulated around the country. The emergence of cheap, well-illustrated monthly magazines created the possibility, for the first time, of a mass national audience focused on news and public affairs. 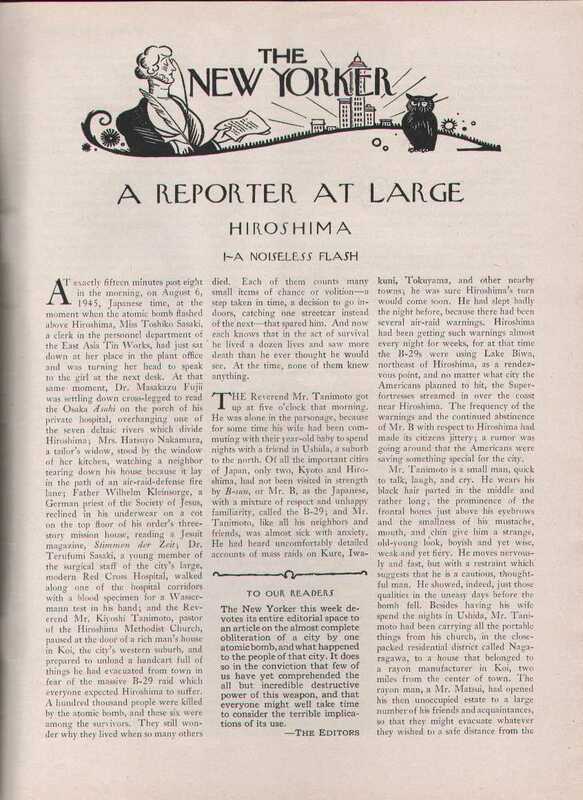 Until the advent of radio networks in the 1920s, such magazines were the only truly national outlet for journalism. Tarbell’s nineteen-part series on Standard Oil became a sensation and set the standard for the techniques of exposé. Tarbell, who had grown up in the oil fields of western Pennsylvania, where Rockefeller built his business, was a scrupulous researcher, and she relied heavily on official government documents and court records to build the case against him. Rockefeller’s companies had been sued and investigated for many years, and there was an extensive paper record dispersed across dozens of courthouses and state agencies, but no one had committed the time and expense (McClure sank an astonishing $50,000 into the project) to pull it all together in a dramatic narrative for a national audience. Tarbell’s account was quickly published in book form, and two years later, the administration of Theodore Roosevelt filed a federal antitrust suit against Rockefeller’s Standard Oil. For McClure’s Magazine, the impact was also great. 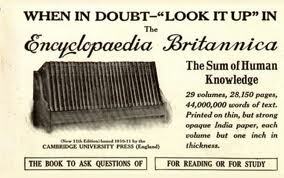 From a circulation of about 370,000 in 1900, the magazine shot past half a million after it began running exposés. Soon, others joined in. Journalists began looking into child labor, race relations, lynching, prostitution, and an array of other social ills. . .